Most store bought Vitamin C supplements are genetically modified. Manufacturers use genetically modified corn as one of the ingredients. Most commercial vitamin C supplements do not contain natural vitamin C.
​It’s often made from ascorbic acid which is a synthetic chemical derived from glucose. Vitamin C is one of the most prevalent natural sources of allergy relief. Vitamin C prevents the creation of histamines in your body and speeds up the detox process. One medium orange contains over 60 flavonoids and 170 different phytonutrients. Orange peel improves digestion. It helps to releive gas, heartburn, vomiting and acidic eructation. Orange peel helps with the respiratory system; it helps eliminate cough and even can improve asthma. Orange peels have anti-microbial and anti-inflammatory properties. 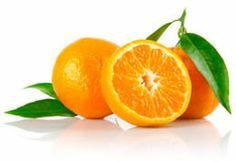 Essential oil, d-limonene, contained in orange peels has ability to promote normal liver function. ​Making Vitamin C at home is super easy and won’t cost you anything. Once dried, grind the orange strips in any grinder.